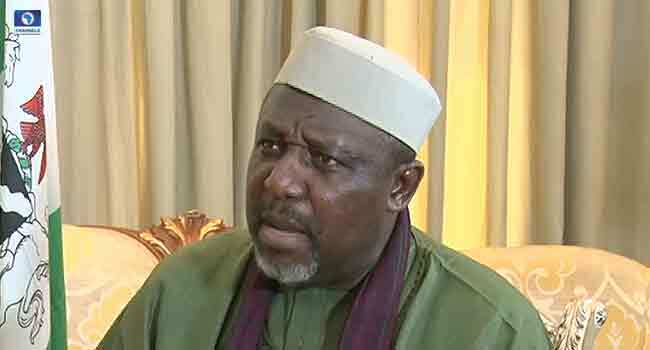 Governor Rochas Okorocha of Imo State has relieved the Secretary to the Government of the state, Sir George Eche, and some members of his cabinet of their duties. The Chief Press Secretary to the governor, Mr Sam Onwuemeodo, revealed this in a statement issued on Wednesday at the Government House in Owerri, the state capital. He explained that the decision was to allow the appointees contest in the forthcoming general elections for the various positions they desire. The Chief of Staff to the governor, Uche Nwosu, as well as the Principal Secretary to the governor, Dr. Paschal Chigozie Obi, and the governor’s Deputy Chief of Staff (Operations), Kingsley Uju, were part of those discharged. The six commissioners affected include Mr Emma Ojinero (trade, investment and commerce), Professor Nnamdi Obiareri (information), and Mrs Ngozi Njoku (gender and social development). Others are Ms Joy Mbawuike (market development), Mr Obinna Mbata (finance), and Dr Dan Nworie who is the Commissioner for Tertiary Education. Governor Okorocha also discharged his Special Adviser on Urban Renewal, Mr Simeon Iwunze; Special Assistant on General Duties, Mr Obinna Amagwula, and Special Assistant on Finance, Mrs Betty Uzoma. He wished them well in their future endeavours.